When CNN anchor Chris Cuomo tossed to a preview of “CNN Tonight,” the box normally occupied by Donald Lemon was nothing but an empty chair. Turns out, Lemon snuck into Cuomo’s studio, surprising the “Cuomo Primetime” anchor with a birthday cake. 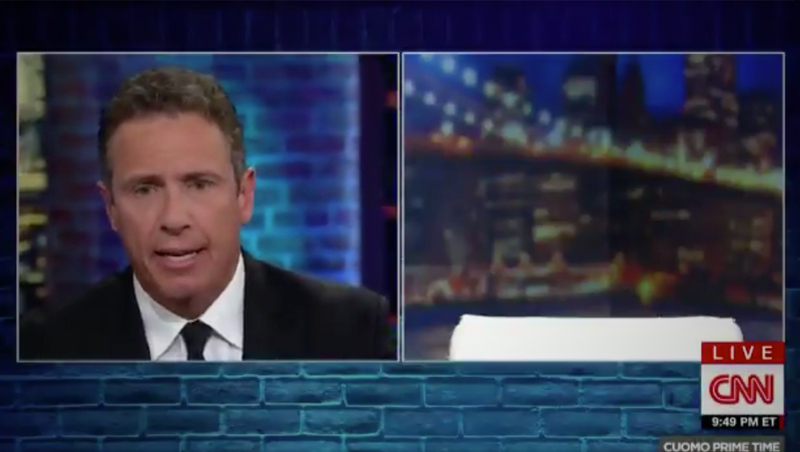 Cuomo appears to see the empty box where Lemon’s face normally would be on an off-camera monitor and gets a puzzled look on his face. Lemon eventually sits down at the anchor desk and the two engage in a rather lengthy discussion about their self proclaimed “bromance,” with Lemon sneaking in few teases to his show in the banter.